Full time bench by Petter Southall Full circle of steam bent oak, wrapped Shaker-style (only much bigger) around a bench. 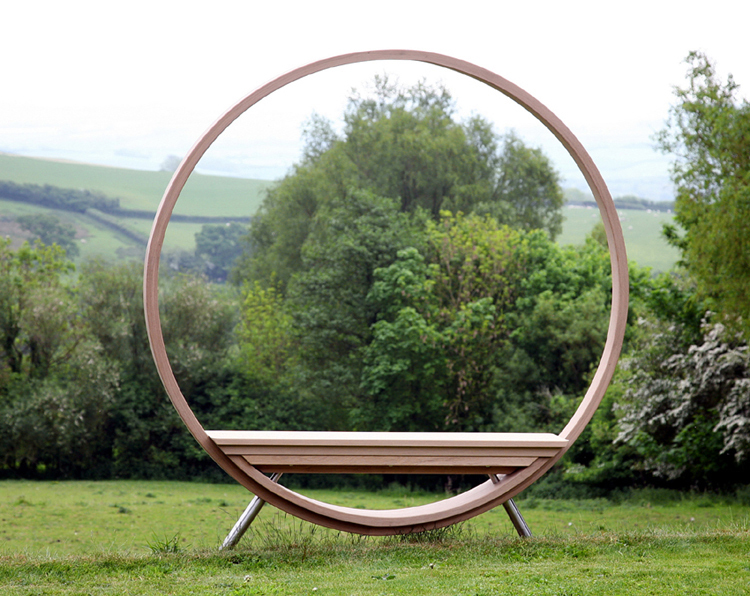 This spectacular piece should be strategically placed to frame a view or lead the eye as well as offering a place to sit and contemplate that view. 200 cm wide, in solid oak with steam bent arcs, washed finish.